We must have being familiar with using queues, interfaces and the torch protocols to monitor traffic passing on and out our networks but there is something much more than this on mikrotik. Although all the above protocols are excellent and give accurate traffic in and traffic out in the network but there some feature you may need, to enhance the monitoring of your network traffic even the more. So we are going to look this particular feature of monitoring network traffic using mikrotik mangle rule. Like the name implies it is a rules that is created to enable protocols. 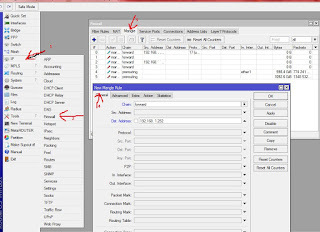 In other to use this rule we are going to log into our mikrotik device and then do some configuration and I bet the configurations are simple and easy ones. Step 2, click on firewall. So here am going to create a new rule to show you how this works. Step 4, click on the add sign. Step5, on the chain you’re going to choose what you want to monitor for this tutorial am going to choose the forward chain because am only concerned with the download that is going on, on my network. The action, in the action usually everyone knows is masquerade, mark connection or mark packets but here in mangle we are going to choose pass-through because we are about to monitor the traffic that is pass-through a source, for us to do that we must tell the traffic to take the action of passing through this source. Then move the rules we have created above other rule in the Colum. After this you will able to see the traffic, each IP is utilizing by simply looking at the packet, Bytes, TX and RX. 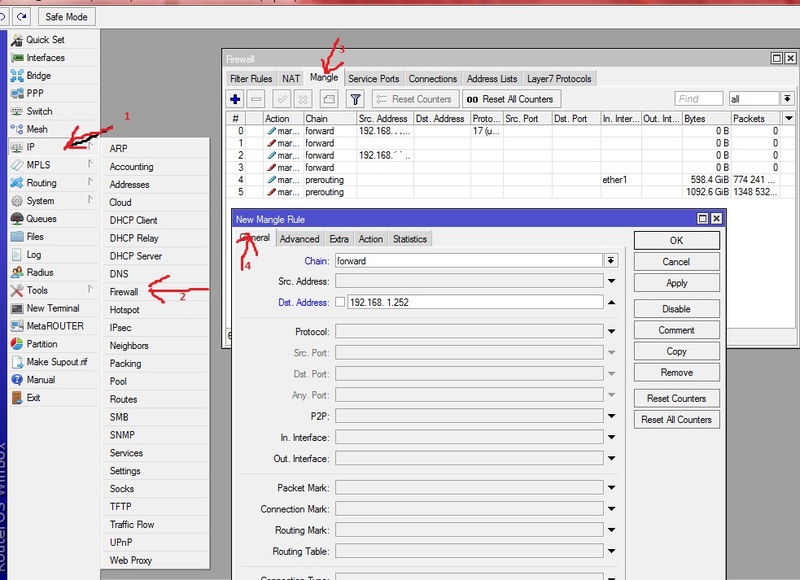 On mikrotik you can also go beyond this to monitor some other traffics flowing from different sites, all you need to do is to click on IP >>>> firewall >>>> mangle >>>> advance,here you will see a layer 7 protocol, now with this protocol you will be able to monitor every traffic going to YouTube. And then the action pass-through. So with this mangle rule technology from mikrotik you can monitor traffic flowing through your network. How To Completely Block BitTorrent On Your Network. How to Setup Load Balancing On Mikrotik Router Using The PCC Features. ← How To Setup A VPN Connection on Mikrotik Devices.